Hull City are preparing to bring Jimmy Bullard's stay at the KC Stadium to an end by arranging to terminate his contract, reports BBC Radio Humberside. In a statement on the Tigers website, chief executive Mark Maguire says that they will be making no further comment. 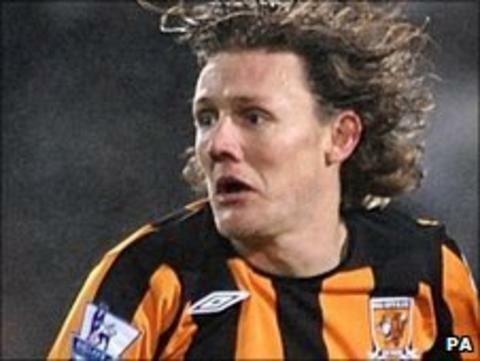 "I can confirm that the club has given notice to terminate the contract of Jimmy Bullard," stated Maguire. "He has a right of appeal. It would be inappropriate to make further comment that might prejudice this process." Hull initially suspended midfielder Bullard over what BBC Radio Humberside understands was an alleged breach of club discipline on the club's pre-season tour of Slovenia in July. The 32-year-old joined Hull, then still a Premier League club, from Fulham for a club record £5m in February 2009. But the former Peterborough and Wigan player suffered a serious knee injury 37 minutes into his debut at West Ham. He has made just 24 appearances for Hull in two-and-a-half years, ending last season on loan at Ipswich, with a reported weekly wage of £50,000.